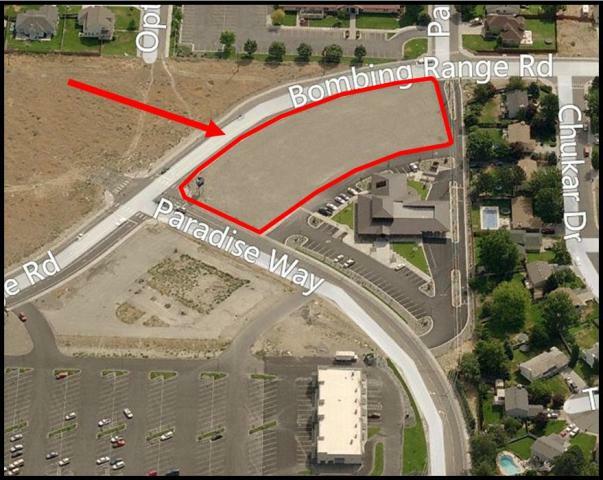 Corner lot located at Bombing Range Road and Paradise Way. Lot is leveled and graveled with improved street access. 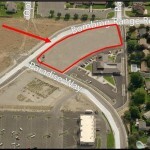 Adjacent businesses include a regional grocery store, restaurant, retail services and credit union. Property is subject to covenants.